Reworked lod terrain diffuse textures for better fitting lod snow. Reworked lod normals to improve lod detail. Reworked lod meshes for a more smooth transition. 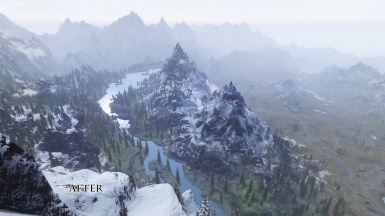 Terrain Lod Redone is aiming for a complete terrain lod overhaul. It features high res lod textures, high res lod normals and high poly lod meshes wich are almost eliminating the stripe effect. Other than usual lod mods I've packed the whole mod into one bsa archive with a dummy plugin for loading it. The sections are gone. This removes all the confusion my older concept created. If you are using HD lods or Skyland you can simply install the lod files that are provided with this mods. They will mix up with Terrain Lod Redone without problems. You don't have to care about anything. Simply enable the esp and set the load order as high (thanks Amelli) as possible. There are mods like Open Cities wich are using some customized lod meshes. And it is necessary that they are overwriting my lod files. If you don't want another esp in your load order you can add the bsa in your Skyrim.ini. 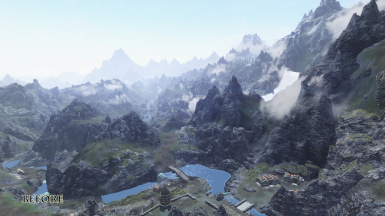 After doing this you can safely delete the Terrain Lod Redone.esp. But due to the concept change it might be necessary to uninstall the old version instead of updating it. Do I have to run DynDoLod or SSELODGEN after install? You need to run it only if you want to use the high res lod resources. They are up to 2k in resolution. But you should be aware that if you are choosing the 1k or 2k version your lod atlas might be too large. This will lead to invisible mountains in the distance. If you are running into this issue you should try the 512 res textures. 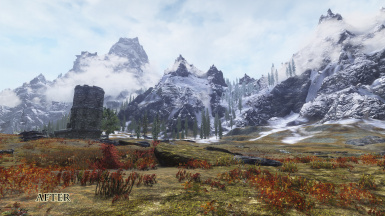 If you are using Skyrim Flora Overhaul install "no lod for bushes" (thank you Fielion). While I was wandering around and looking for issues I found that several lod objects are rendered not correctly. 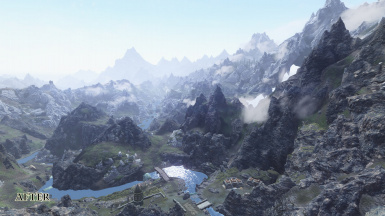 I've disabled my mod and noticed that there are lod issues in the north of Alftand and Whiterun in the vanilla state too. I guess this comes from a faulty lod occlusion calculation and I'm currently investigating ways to fix it.